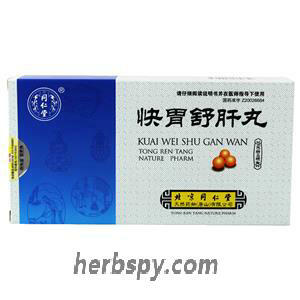 For liver and stomach disharmony,fullness and discomfotble of both sides of the chest, loss of appetite,hiccups vomiting,epigastric pain, stool disorders. 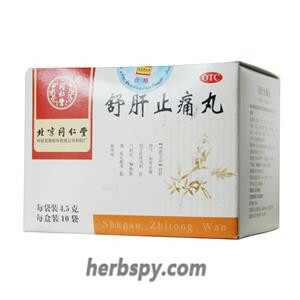 Disperse stagnated liver qi to relieve depression,harmonizing stomach and relieving pain. Nutgrass Galingale RhizomePeony RootFinger CitronCommon Aucklandia Root，Chinese Thorowax RootRhizoma Atractylodis MacrocephalaeDried Tangerine Peel，Cablin patchouli HerbAreca Seed,Licroice Root,Radish Seed,Combined Spicebush Root,honey. For oral use after meals,9g (1 sachet) twice daily or by medical ordor. 1. Avoid raw,cold, greasy food during taking this product. 4. Does not apply to children, the elderly and feeble patients,the symptoms: fatigue, shortness of breath. 5.Shouldn’t take for long time,3 days without any remission,or symptems aggravated,appeared new serious symptems, should go to hospital. 10. If you are using other drugs, please consult your doctor before using this product.. 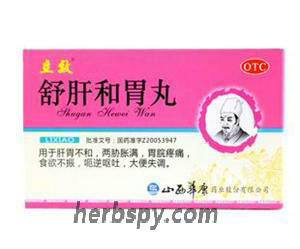 It mainly promotes gastric emptying, inhibits gastric acid secretion, accelerates intestinal movement, and relieves pain. Stage Food and Drug Administration Approval number:Z20053947.